Indian Head Massage is a flowing sequence of non-invasive, relaxing and rhythmic movements that evolved from an ancient healing system and rich tradition of family grooming in the Indian culture. Our Escential Indian Head Massage includes the use of essential oil blends and energy balancing to enhance the experience and the results. A full session which is done with the client seated and fully clothed, can take up to an hour. It focuses on areas of the body that are most susceptible to stress and tension: the upper back and shoulders, upper arms, neck and of course, head. The effects of this session are both immediate and cumulative. It provides a well deserved break from busy lifestyles and encourages feelings of relaxation, balance and revitalization. The 2-day workshop is highly experiential with ample practical instruction, demonstrations and hands-on learning. It teaches the principles, techniques and movements of our Escential Indian Head Massage sequence; essential oils and aromatherapy as well as chakras are introduced in this workshop. By the end of the workshop, you will have given and best of all, received a full session! A Certificate of Attendance is awarded. Dates: No dates are currently scheduled. We've amalgamated our 3 Essential Living Workshops into this dynamic one-day session! Participants will learn about essential oils and will experience the benefits of aromatherapy firsthand by making hand-crafted personal care products to take home and use to build an “essential” home apothecary. If you are new to Aromatherapy or have been surfing the ‘net’ and want some classroom training, this is a great place to build your education in aromatherapy and essential oils. An introductory look at the concepts of Aromatherapy and aromatic plant extracts called essential oils, for use in your day-to-day world. Learn how these essential oils influence the body, what to look for in an essential oil, applications and safety guidelines. We’ll lay the foundation for creating blends to build an aromatic home apothecary. We will cover 10 essential oils and discover their potential for assisting with stress reduction, reducing inflammation and pain, easing digestive complaints and supporting your immune system. Participants in this interactive workshop will learn basic blending techniques to make personal care products for yourself and your family. We’ll create a lip balm and a healing ointment or salve using natural skin-nourishing ingredients. A detailed handout filled with information on ingredients and their benefits as well as the ‘how-tos’ to make variety of effective body care products is provided. Date: Let us know if you are interested in this one-day class. In each of these 3-hour workshops, participants will learn about essential oils and will experience the benefits of aromatherapy firsthand by making hand-crafted personal care products to take home and use as part of daily living. Each session will add new essential oils and methods of use to build an “essential” home apothecary. Each workshop includes a detailed handout and all materials used in class for creating products. An introductory look at the concepts of Aromatherapy and aromatic plant extracts called essential oils, for use in your day-to-day world. Study how these essential oils influence the body, what to look for in an essential oil, applications and safety guidelines. We’ll lay the foundation for creating blends to build an aromatic home apothecary. Health begins in our homes so we’ll make a kitchen spray cleaner and an abrasive sink scrub using simple ingredients for a healthy house! Workshop fee: $75.00 includes a comprehensive manual and all materials used in class. In this workshop, you will learn about 6 essential oils and discover their potential for assisting you with stress reduction, reducing inflammation and pain, easing digestive complaints and supporting your immune system. Participants in this interactive workshop will learn basic blending techniques and make personal care products to add to your home apothecary. Workshop fee: $75.00 includes a detailed manual and all materials used in class. Learn to make natural body care products using beeswax, butters and carrier oils. We’ll create a lip balm and a healing ointment or salve in this class. 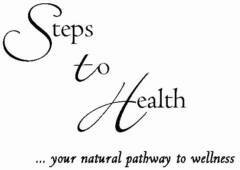 You’ll receive a detailed handout filled with information on ingredients and their benefits as well as the ‘how-tos’ to make variety of therapeutic body care products. 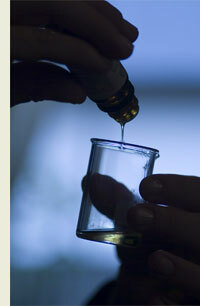 Prerequisite: Introduction to Essential Oils or previous training in the use of essential oils. Workshop fee: $75.00 includes a detailed handout and all materials used in class. If you would like more information or are interested in enrolling in any of these workshops, please contact us.​ Be sure to indicate which one you would like to attend in the subject line.